Bead & Button publishes creative ideas for the art of beads and jewelry. Get 28 or more stylish jewelry projects for all skill levels in every issue. Learn to make earrings, necklaces, purses, ornaments and more with detailed photographs and step-by-step instructions. 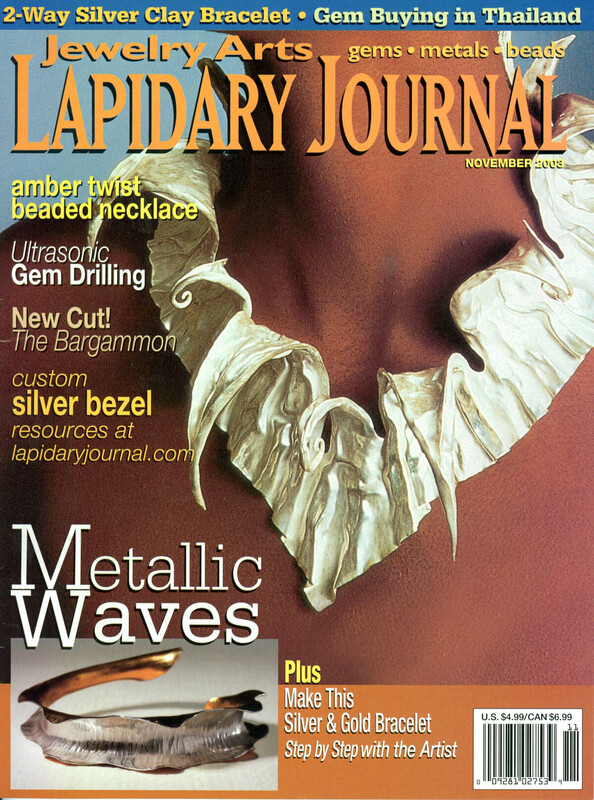 Lapidary Journal is dedicated to the art of gems, jewelry-making, beads, minerals and more! Lapidary Journal is your comprehensive resource into the world of gemcraft, jewelry making and design. Lapidary Journal offers you monthly coverage of every facet of the field. Whatever your interest or level of expertise, you'll find a breathtaking array of information within each lavishly illustrated 150+ page issue. Whether you're a beginner, an experienced artisan or in the business, Lapidary Journal can take you to a whole new level. Each month Lapidary Journal brings you the field's largest calendar of shows and events you can attend! Lapidary Journal has taught thousands of people -- beginners through advanced -- how to make beautiful jewelry to wear or sell through the step-by-step methods that have been a Lapidary Journal trademark for over 50 years. Every issue includes Jewelry Journal, a special section of how-to projects on jewelry-making and design, beads and gemcraft, including tips and tricks from master instructors. You'll learn how to turn your creative ideas into rings, earrings, necklaces, bracelets, and more. Easy-to-follow instructions include illustrations, material lists and photographs of all finished pieces. And experts will teach you how to market your finished work. Since 1971 Rock & Gem has been the leading magazine for the lapidary and mineral hobbyist. Rock & Gem captures the fun and excitement of rockhounding, gathering mineral specimens at their source. Rock & Gem guides its readers step-by-step though the creative processes of jewelry making, from the simplest beginner projects to the advanced skills of faceting. Knowledgeable authors make mineral science understandable and inviting. Outstanding color illustrations add to the lure of some of nature's greatest beauties. Rock & Gem Senior Editor, Carnegie Award winner Bob Jones, heads a group of regular contributors who write to the interests and tastes of the average reader. R&G is not part trade journal. It is totally dedicated to the hobby and those who love it. Each issue includes detailed field trips to collecting sites, in-depth profiles of individual minerals, easy-to-understand jewelry making projects and colorful reports on the people and places that make up the world of rocks and gems. There are listings for shows throughout the country, a Craftsman of the Month contest and tips for your home lapidary shop.